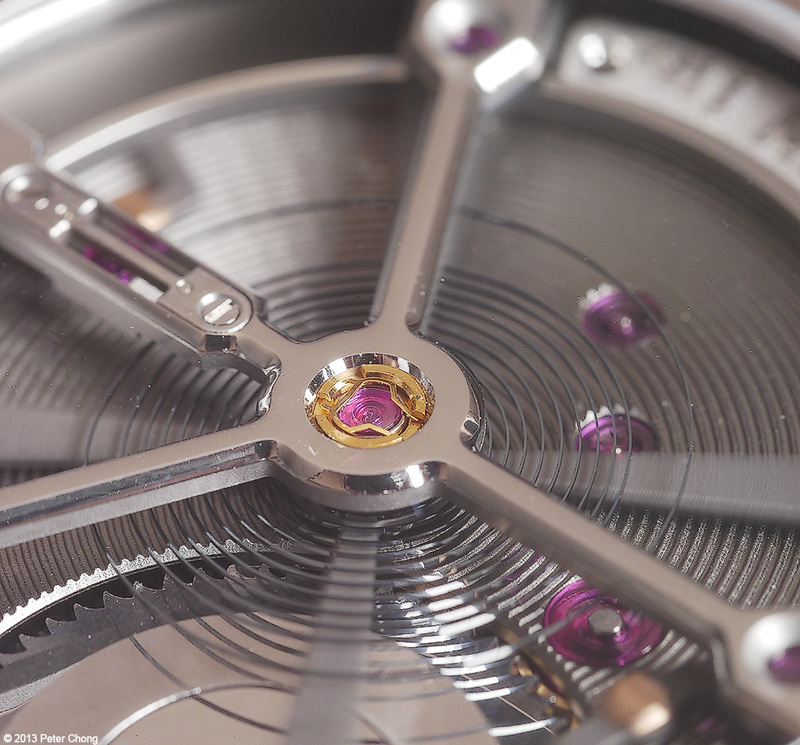 Watchscapes: High Resolution Photography by Peter Chong: Antoine Martin Slowrunner: Awesome! 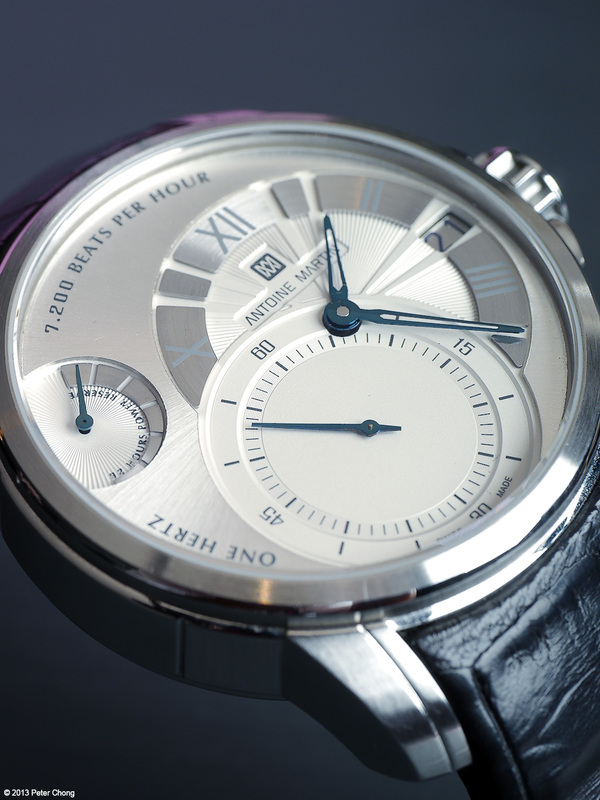 Antoine Martin is a brand established by the very innovative Martin Braun after he left his namesake at Franck Muller. I have know Martin for a long time, since his early days working with his father under the family firm of CCM Braun. 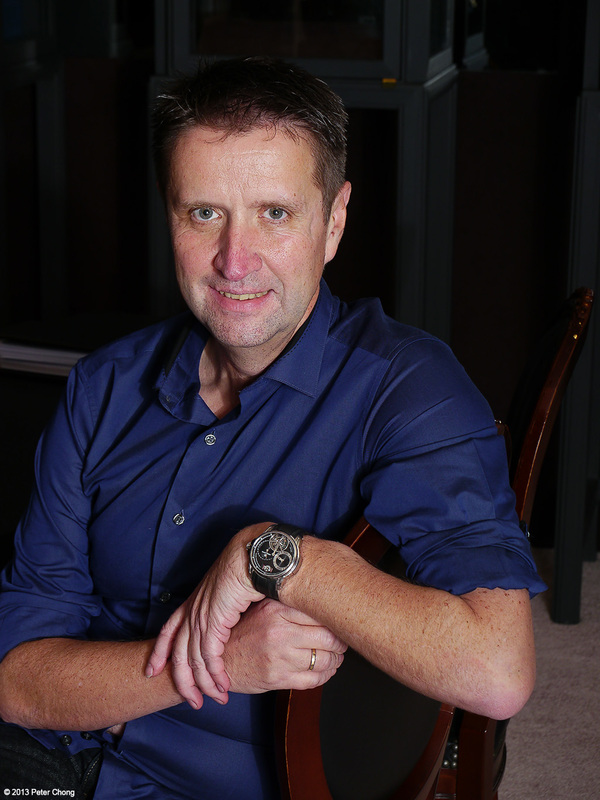 He went on from CCM Braun to establish his own brand, Martin Braun, which became famous for the EOT and Sunrise/Sunset watches. 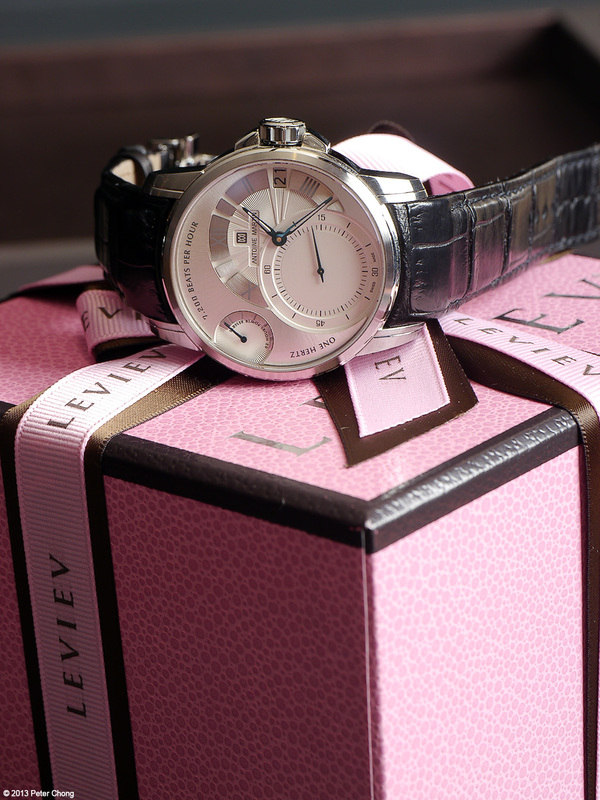 Subsequently, he sold the company to Franck Muller. 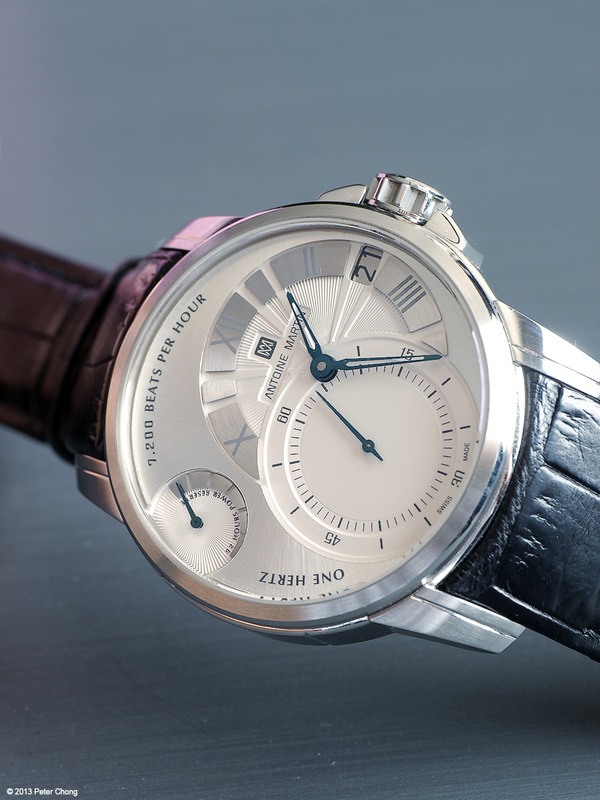 The partnership was not to be, and he left in 2009, and established his new company, Antoine Martin in Luzern in 2010. He focussed his energies in developing a new movement, a totally new, high performance escapement which capitilize on the properties of silisium. 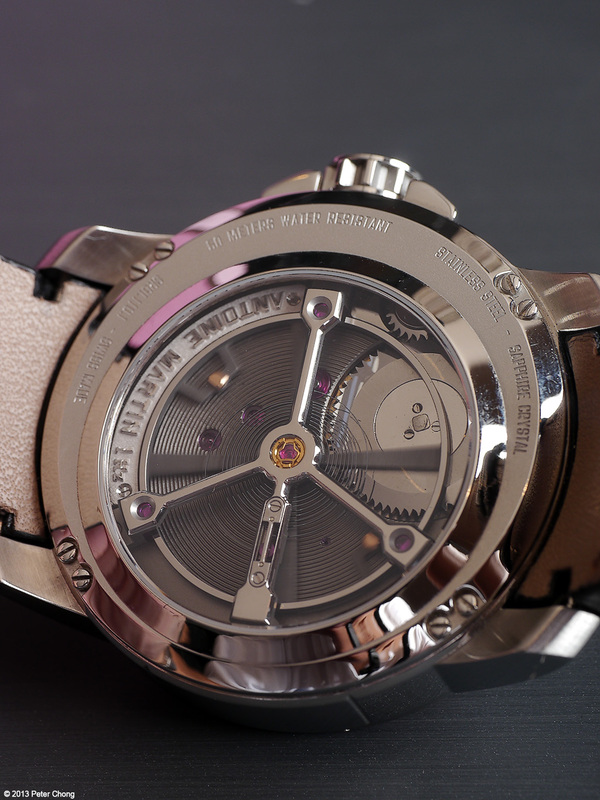 And recently, in BaselWorld 2013, he unleashed the Slowrunner. He showed me the Slowrunner in GTE this year, but I was asked to keep an embargo till BaselWorld. I recently caught up with Martin, and had the opportunity to photograph the Slowrunner. This is the antithesis of a chronometer. This is not a watch to win chronometry competitions or precision timing. This is much like an anti-watch, much like some fashion brands started the anti-fashion clothing line some years ago. The purpose of a watch like the Slowrunner, which beats at a very slow 7200 bph, is to show the virtuosity that such can be done, and also to allow the owner a moment of repose as he flips over his watch in the midst of a high speed high tension day, and gaze at the slow beating of the huge...no giant, escapement. The 7200 bph does not happen by chance, but selected to be so because this is the resting heart rate of a healthy individual. Indeed, my own resting heart rate is 58 beats per minute. 7200 bph runs at one full oscillation every second, or 60 oscillations per minute. This has the effect to calm the observer, providing respite for the hustle and bustle of the day. The challenge of combining a huge escape wheel, and a slow beat movement is interesting, not to mention a daunting task. But the ingenuinity ofMartin won the day.